Hickling Broad is the largest area of open water in the Norfolk Broads and is a vast expanse of reed beds, meadows, and of course, waterways. 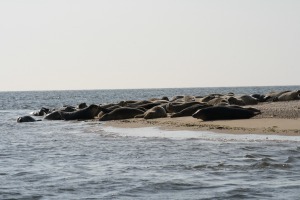 And one of the best ways to see the amazing wildlife here is to take a boat trip with an expert guide, and to be taken to areas of this Broad only reached by boat. It makes it all the more worthwhile when you know you are visiting areas of this Broad which are inaccessible by foot, especially when you see the views from the 60ft tall watch tower. Hickling Broad is managed by the Norfolk Wildlife Trust, and excitingly for them, in April 2017 they managed to secure funding to buy another 655 acres of this broadland, meaning they now own 1400 acres of this incredible broad. 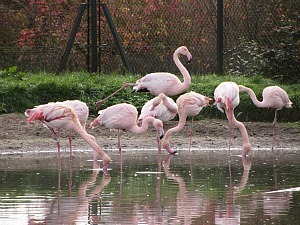 In fact it has the largest reed bed in England, and is the largest of the Norfolk Broads. 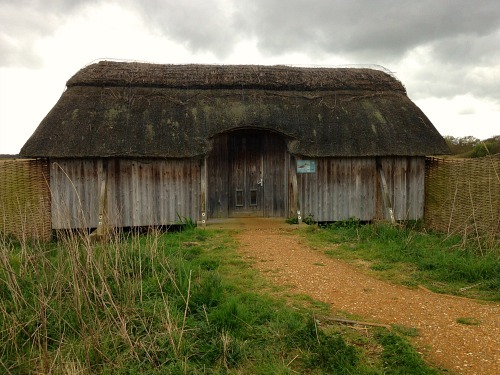 With a brand new visitor centre opened in 2017, walks and hides to while away your day, pond dipping and a boat trip, this is a really great place to visit. 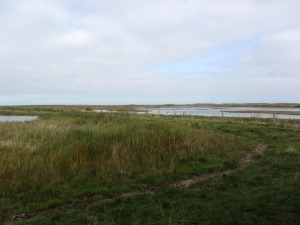 If if you have an interest in the surrounding area and would like to find out more about the actual reserve once you're there, NWT have set out interpretations and information about the reserve, it's history and the landscape that it sits in. It also gives you a fascinating insight into Emma Turner who was a pioneering ornithologist and bird photographer whose 1911 photograph of a bittern taken at Hickling was the first ever photo taken of a bittern and evidence of its return to the UK since it’s decline in the 1800’s. If you come for the day, you can bring your own picnic. There are lots of picnic tables near the visitor centre where you can relax and enjoy your lunch, and there is also a modern WC at the back of the centre! 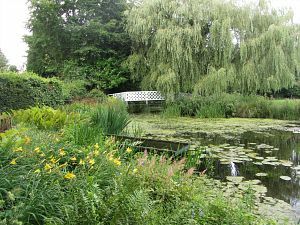 However, the visitor centre does offer sandwiches, sausage rolls and light snacks along with tea or coffee, so if you don't fancy packing up a picnic, why not enjoy refreshments here. 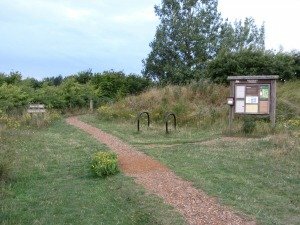 Another option for eating would be to wander around the reserve in the morning, go off to the pub in Hickling, and come back again in the afternoon for a boat trip. 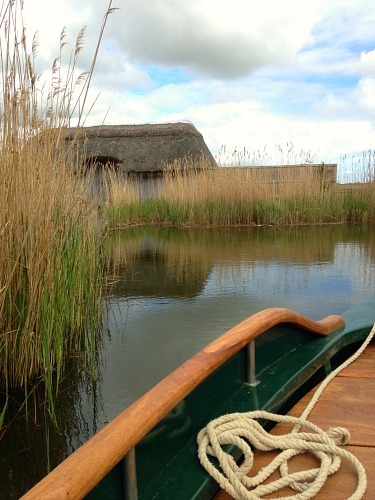 If you’re thinking of introducing your children to wildlife and showing them what the Broads waterways offer, then a boat trip with a bit of pond dipping and watching from hides that are accessible and inaccessible on foot will probably go down well. 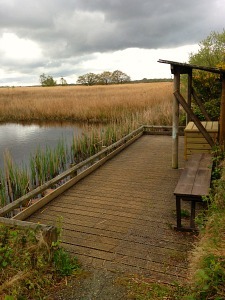 The pond dipping area, overlooking the vast expanse of reed beds, has been set up so that you can conveniently watch on the decking. They may also like the digital interpretations in the centre as well as the interactive quizzes about the broads and it's habitats too. Just ask at the reception desk for more information. There is, as you would expect at a nature reserve, a no dog policy. 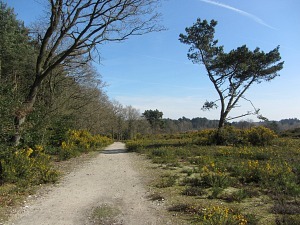 In fact there are many events that the Norfolk Wildlife Trust put on all over Norfolk during the year to encourage all ages to come and visit. You can find out more about their events here. 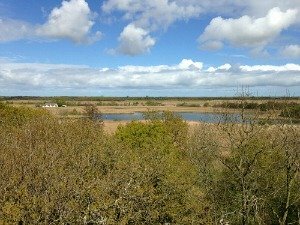 Once into the Visitor Centre you then have the chance to walk around the large areas of woodland and reedbed to see the wildlife. 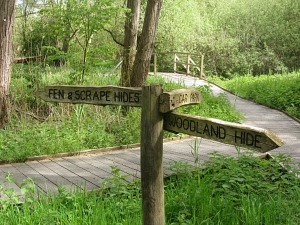 Take a waymarked circular trail from the Visitor Centre all the way around the edge of the Reserve which takes in the Bittern Hide, the Observation Hide, (on stilts), Seckers Hide and Cadbury Hide. 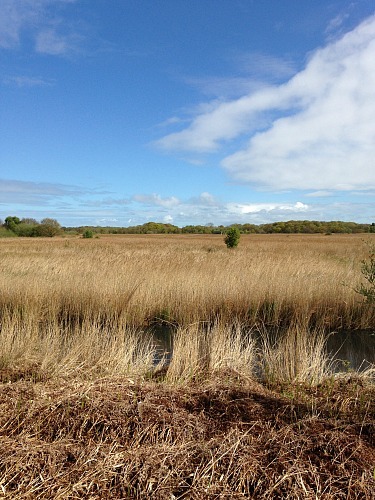 Because this nature reserve is right out in the middle of nowhere, you’ll realise, as you walk around, quite how peaceful and tranquil it is, with the only sound being the rustling reeds in the wind and birdsong. It's fantastic. Hickling Broad is best known for its bitterns (which unfortunately I didn't get to see), but also for its marsh harriers, swallowtail butterflies and cranes. On the pools that I visited I saw avocets, tern, Egyptian geese, teal, gadwalls and caught sight of a Chinese water deer to name but a few. Obviously, as with any nature reserve, every day is so very different, you never know what you’ll see - that’s definitely the fun of visiting a place such as this. 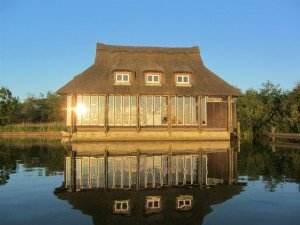 A short drive from Hickling Broad is Ormesby Broad; very quiet, no boats allowed on this Broad and The Boathouse is the perfect place to stay. Stunning location overlooking Ormesby Broad with unique rooms, amazing attention to detail and relaxing atmosphere. Check out The Boathouse here. 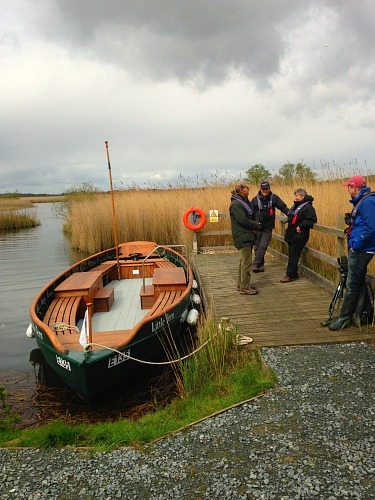 For me, the boat trip was the highlight of my visit to Hickling Broad. As I walked to the boat mooring through the reeds and past a couple of hides, I met up with another visitor from London who said he often came for a day to the Norfolk nature reserves and was most helpful in identifying some birds for me! We were so engrossed with watching activity over the reeds that we walked right past the mooring and had a quick dash back to find it once we realised we were about 5 minutes late. 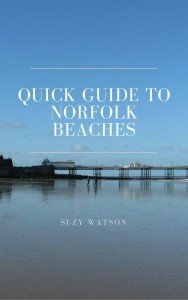 Terrified that I was going to miss this opportunity, we were relieved to know that, as is typical with this wonderful county, everything was working on Norfolk time – so a little delay made no difference at all! With lifejackets on, off we went out into the Broad. It was quite windy and cold but I loved it. As we were moving along, all I could hear was the lapping of the water against the hull of the boat and the quiet electric motor. 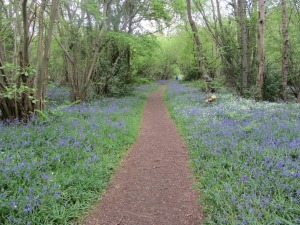 So peaceful and perfect for a nature reserve. 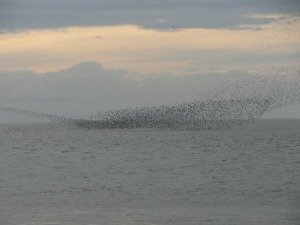 Every so often Phil, our guide, switched it off to give us a chance to look at some of the birds, or to tell us about how NWT manage the reed beds, or other interesting facts about the area. He was so knowledgeable and also very helpful in identifying various birds once in the hides. 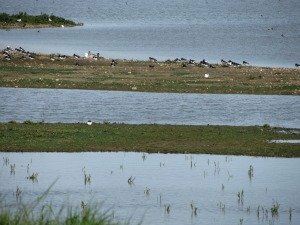 He would point out really interesting details about wildlife, other local stories and the fact that if you did fall in to Hickling Broad, you could probably stand up! This is the most fantastic trip to visit some hides that are inaccessible by foot, so you really get the feeling that this boat trip is special. In parts it was just how I imagined Swallows and Amazons to be. We were taken along narrow channels in between the reed beds; incredibly peaceful. What I didn't know, and have subsequently found out since writing this review, is that Arthur Ransom, who wrote Swallows and Amazons, wrote 2 books which were set in the Broads, The Coot Club and the Big Six which heavily feature the Broads, and Ranworth Broad in particular. So it goes to show just how descriptive he was and how true to the Broads these books are! As everyone on the boat was a keen bird watcher, we were taken to another mooring where we got out and had a very short walk along a stretch of the Weaver's Way to reach a private bridge and were then faced with this huge metal 60ft high watch tower. 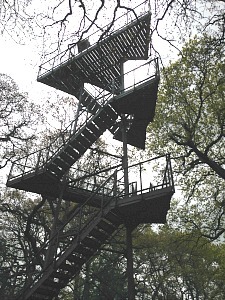 If you don’t like heights you won’t want to climb this, but believe me, the view was incredible from the top. 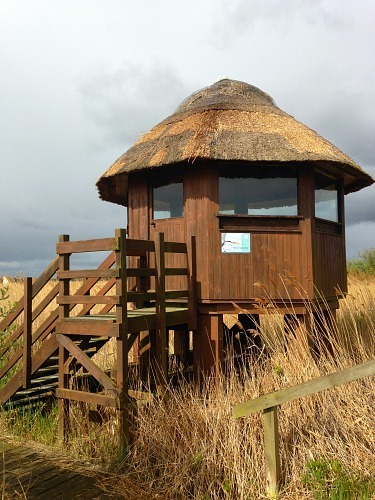 This tower was built in the millennium year and is a great asset to Hickling Broad, but again only accessible by the organised boat trip. Once you're up the top of the tower you really do have the greatest impression of just how large Hickling Broad is. As we watched marsh harriers soar above the reeds and a kestrel nose dive into the reeds, Phil pointed out the wonderful sight of Happisburgh lighthouse sitting in between the large church towers of Happisburgh and Waxham. 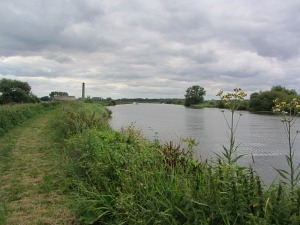 We could see Horsey Mere and the sand dunes where the seals breed in the winter . And you could just make out Horsey Windpump too. The boat trips run between May to September and it’s definitely worth ringing up to book in case they aren’t going out due to bad weather. 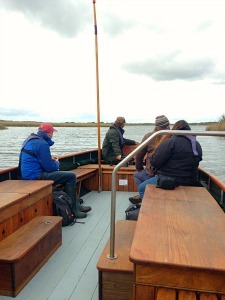 There are 3 trips a day (one for 2 hours, and two for 1 hour) and if you head over to the Norfolk Wildlife Trust Hickling Broad website here then you can find out the times and days of the boat trips. 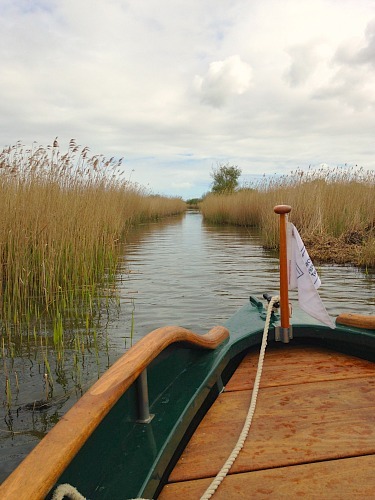 The whole of Hickling Broad is a fascinating nature reserve, and combining the trails with a trip on the boat with an expert will give you an excellent day of exploring the wildlife on this wonderful reserve.